Charlie Moore won the Toolbox Challenge guessing the total value to be £519, just 18p out. His prize is a toolbox full of tools. Ross Shergold won the Mitre Saw Challenge. The challenge was to cut as near as possible to 38mm. 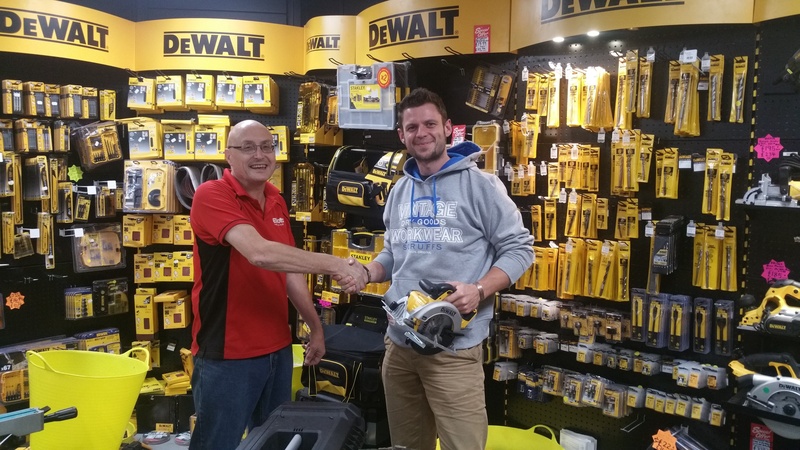 With the aid of a micrometer, Ross was deemed the winner with an amazing cut of 38.03mm and he wins an 18v Cordless Mitre Saw.